Relations between Renault and Red Bull haven't been great for a while now, but using a team preview to snipe at the other has to be a new low for this sourest of all unions. Max Verstappen was the French side's target as they looked ahead to this weekend's Brazil GP. 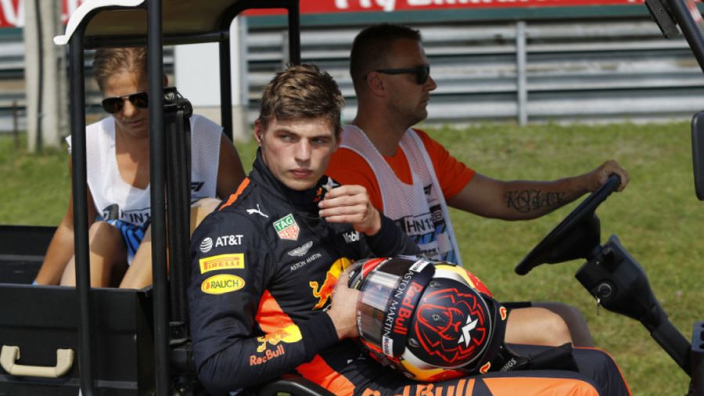 Verstappen has been a particularly vocal critic of Renault's this season, pointing out at more or less every race how much better he would be if he wasn't hamstrung by the French marque's power unit. The Dutchman and Red Bull will have little cause for complaint in 2019, having ditched Renault for Honda and the tense relations between the sides haven't exactly settled since the split was confirmed. As trivial as it may seem, Renault's decision o dig out Verstappen in their Brazil 'Travel Guide' shows just how bad the blood is now. Renault's preview read: "A party atmosphere is one similarity between Mexico and Brazil, with another being the sheer volume of people living in the two host cities. With a combined population of 20 million, which may or may not be equivalent to the number of times Max Verstappen has moaned about something this season, these two back-to-backs are physically HUGE."